We will also be holding a raffle (proceeds going to preschool) after the Nativity. If we could ask for dontions towards the raffle prizes such as vouchers, bottles of wine or Christmas treats. We will also be taking orders for the preschool Christmas cards. 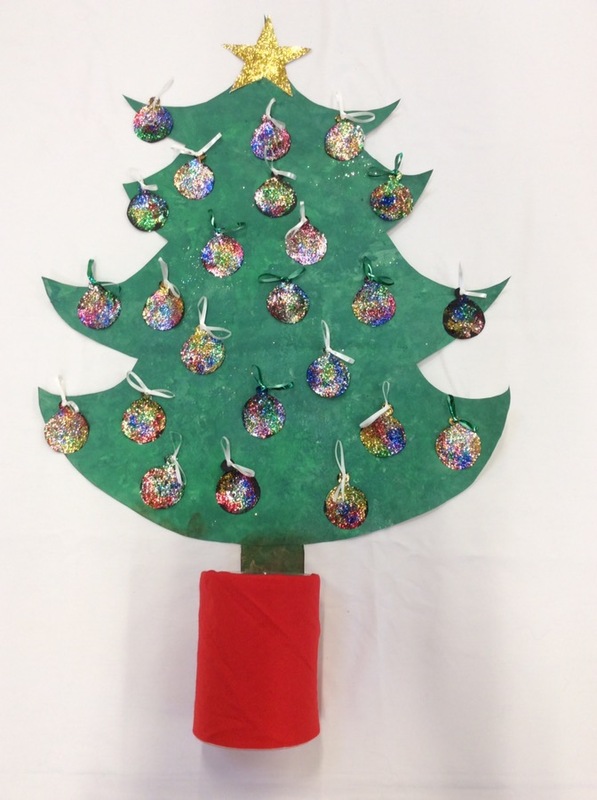 Each child helped to make one of the baubles which hang on the tree. The completed tree is now hanging on the board in the hall.